How Much Water Do We Need To Drink, According To Our Weight? 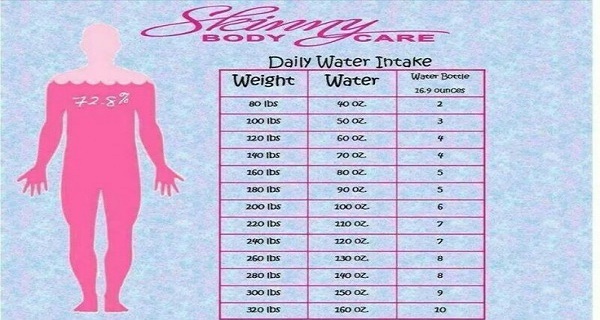 Home » Health » How Much Water Do We Need To Drink, According To Our Weight? Some just do not drink water at all, or do not drink as much as the body needs for its vital functions. The amount of water your body needs depends on your weight. The table above should help you determine the right amount. It will help you get into the routine and drink the proper amount of water every day. BEST HOME REMEDIES TO PREVENT SAGGY BREASTS AND KEEP THEM PERFECTLY PERKY – FOREVER!